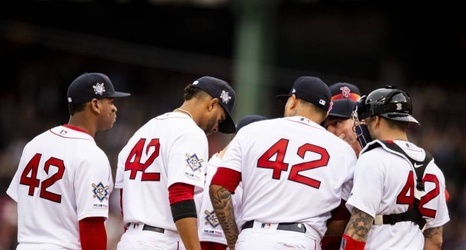 Jackie Robinson Day was celebrated around Major League Baseball on Monday, honoring the 72nd anniversary of the legendary player making his debut with the Brooklyn Dodgers. Today, everyone wears #42! It’s time to #PlayBall against the Cardinals on #JackieRobinsonDay.